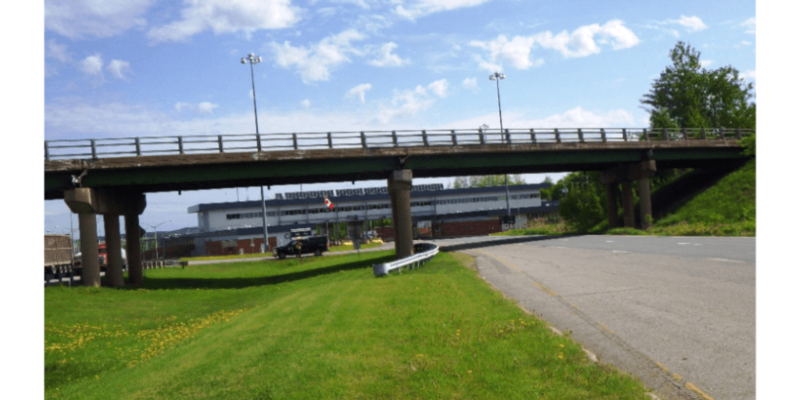 NEWPORT – On Saturday, U.S. Border Patrol agents apprehended eight individuals after they illegally crossed into the United States from Canada near the North Derby Road in Newport. According to authorities, seven of the individuals are citizens of Romania and one is a citizen of Germany. None of the individuals had immigration documents that would allow them to legally enter or remain in the United States. Agents transported them to the Newport Station for processing.They were then turned over to the U.S. Immigration and Customs Enforcement (ICE) office for removal proceedings. 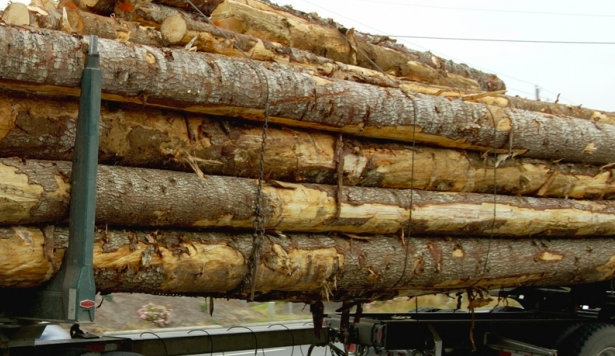 NEWPORT — A log truck ran off the roadway on I-91 in Derby on Tuesday morning. Traffic was down to one lane on the interstate at around 10:45 a.m. and the fully loaded log truck could be seen in the median smoking and badly damaged. Police, along with members of the Newport City Fire Department and Ambulance arrived on scene. The driver, identified as Pascal Rodrigue, 61, of Quebec, was transported to North Country Hospital to be treated for minor injuries. Police say the tractor-trailer drifted too far to the left in the passing lane and ran off of the roadway and into the trees in the interstate median. Members from St. Onge Excavating arrived on the scene later in the day to assist with the removal of the tractor-trailer and are assisting with the removal of the logs this morning. CHARLESTON — Police were called to the scene of a two-vehicle crash on Hayward Road in Derby on Tuesday. At around 3:00 p.m. crews responded to the scene and met with both drivers. Police say 72-year-old James Driver of Charleston was traveling west and 59-year-old Roderick Lyon, also of Charleston, was headed east. According to the report, Driver crossed left of center, striking Lyon head-on in the eastbound lane. According to operators statements, both vehicles were traveling approximately 25 mph, and road conditions at the time of the crash were icy. Driver suffered from what police say were “non-life threatening injuries” and was transported to North Country Hospital. Both vehicles sustained extensive front-end damage were towed from the scene. DERBY — A driver will have to appear in court after police say he failed to stop when signaled, then pulled into his garage and attempted to close the door between himself and police. 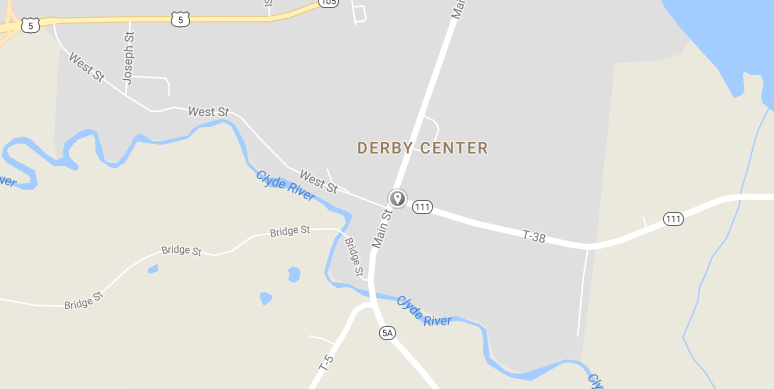 At around 1:50 a.m. on Saturday, police say they were patrolling Route 111 in Derby when they observed a Land Rover traveling east at a high rate of speed. The vehicle allegedly turned onto Bates Hill Road without signaling, then continued to travel at a high rate of speed in the posted 35 MPH zone. The road conditions at the time were snowy and slick. According to the report, the trooper activated his emergency lights to effect a stop, and the driver failed to yield. Police say the driver, identified as Wilfred Tetreault, 55, of Derby, continued disregarding the signal to stop. They say he pulled into a driveway at a high rate of speed, opened the garage door and attempted to close it between him and the trooper. The trooper was able to pursue Tetreault into the garage and remove him from the vehicle. He was detained and later issued a criminal citation to appear in court. Civil violations were issued for speeding on a state roadway, speeding on a town roadway, unreasonable speed for weather conditions, failing to signal, and failing to stop when signaled. 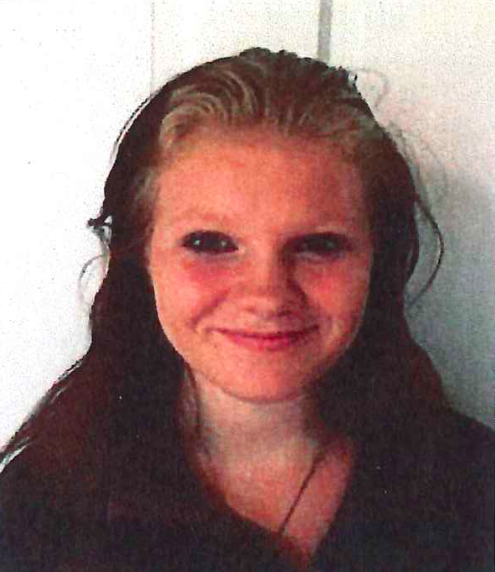 DERBY — Police are hoping the public can help locate a teenager from Derby who is missing. According to a statement issued by police, sometime after 9:00 p.m. on Wednesday, Allison White, 17, of Derby, left her residence on Roy Street. She is described as being 5’2″ and weighing 154 lbs. She has brown eyes and has recently dyed her hair brown, which she had braided and pulled back. White was last seen wearing black spandex pants, black rubber knee-high boots, and a black jacket. Police say she has no known access to a cell phone but does have access to the internet. They say she has friends in Newport, as well as the Barre and South Burlington area. Anyone with any information about this incident or who may have seen White is asked to call the Vermont State Police at 802-334-8881. COVENTRY — A Derby man will have to answer to charges after he allegedly hit a train today and fled the scene. Police say 39-year-old Aaron Horner was cited for leaving the scene of a crash and driving with a criminally suspended license. 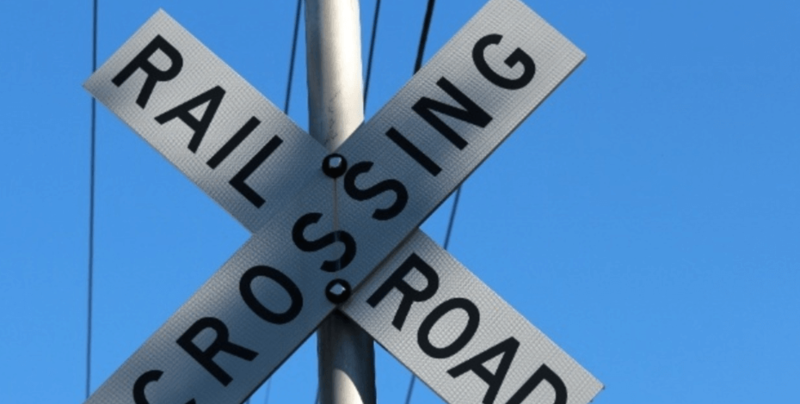 At around 11:00 a.m. police were notified of a crash at the railroad crossing on Coventry Station Road in Coventry. It was reported that a truck failed to stop for a train that was preceding through the intersection. While a trooper was responding, witnesses say the truck left the scene heading east on Coventry Station Road. Police say the truck was leaking fluids and smoking. 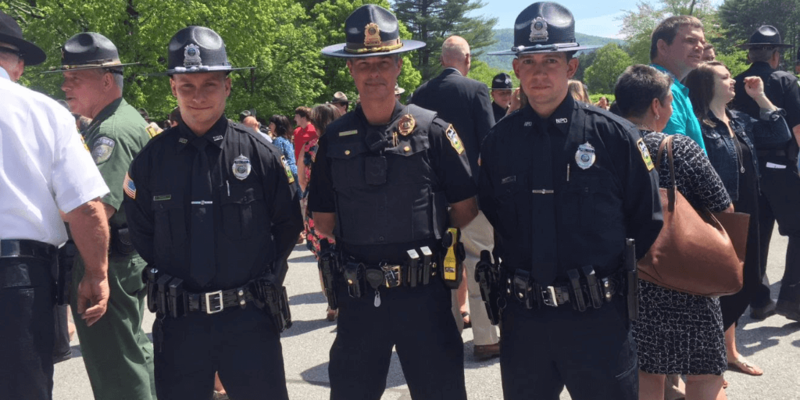 Vermont State Police, Orleans County Sheriff’s Department, Border Patrol and Newport Fire Department all responded to the scene. The train conductor and engineer were both uninjured during the incident. Police say a trooper later located the truck involved in the crash on Moulton Road in Brownington, hiding behind large shrubbery, and identified Horner as the driver. Police say Horner was not injured during the crash. NEWPORT — Three men are being held without bail after police say they were involved in the kidnapping and brutal assault of a 20-year-old Derby man. In court last week, Tyler Glodgett, 22, of Newport, pleaded not guilty to charges of attempted murder, two counts of aggravated assault, aggravated assault with a deadly weapon, and unlawful restraint. Joshua Bedard, 30, of Brattleboro, was charged with kidnapping, unlawful restraint, and aggravated assault relating to the incident. The third man charged in the case is 28-year-old Justin Peters, of Coventry, who pled not guilty to a charge of aggravated assault. Police say the incident took place last month in Lowell, at a white trailer on Route 58. According to court records, the 20-year-old victim from Derby offered to give Bedard a ride, when he was led to the trailer in Lowell, where Glodgett and Peters were located. After around ten minutes, police say Bedard punched the victim in the face, while he and Glodgett accused the victim of ratting them out to police. The attack continued with the victim being repeatedly kicked and punched, his hands tied behind his back, his cheek sliced with a box cutter, and his arm branded with a heated fork. At one point during the assault, a trash bag was placed over his head, causing him to feel that he was going to suffocate. Court records go on to detail how the victim was able to escape the assault by freeing his hands and making a break for the front door, while the other occupants of the trailer were doing drugs in the kitchen. 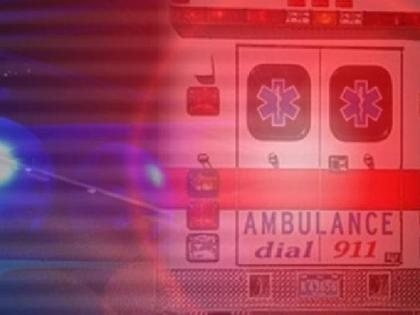 He eventually showed up at the State Police barracks in Derby, where he was transported to the hospital to be treated for his injuries. The three men were arrested, and in court, Judge Robert Bent ordered them held without bail as charges are pending. 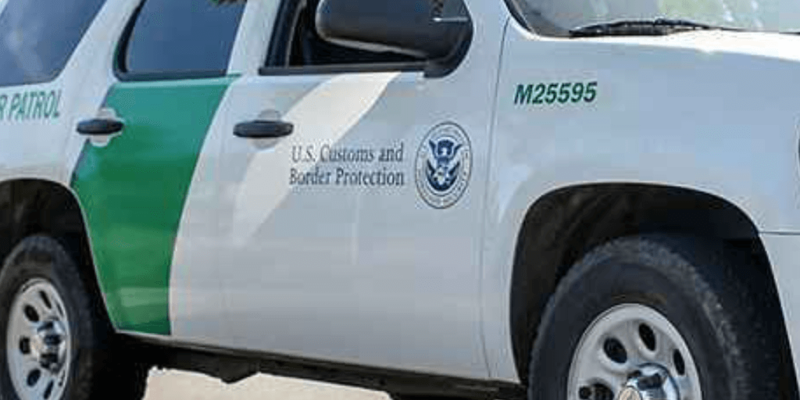 DERBY — On Saturday, Border Patrol agents assigned to the Newport station say they arrested a man and woman, both citizens of Mexico, during a failed smuggling attempt. 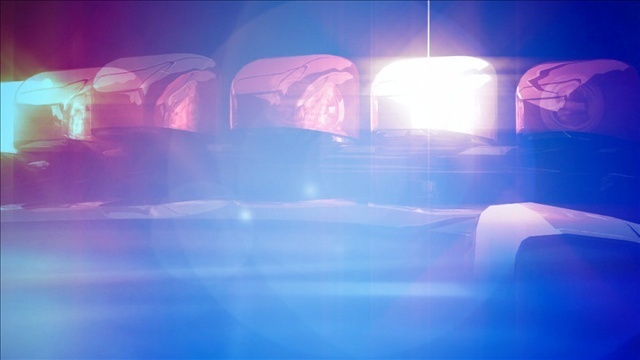 Agents say they encountered two men driving a white Nissan Sentra near the international border. According to authorities, both men claimed to be U.S. citizens from North Carolina and had rented a room at the Border Motel. 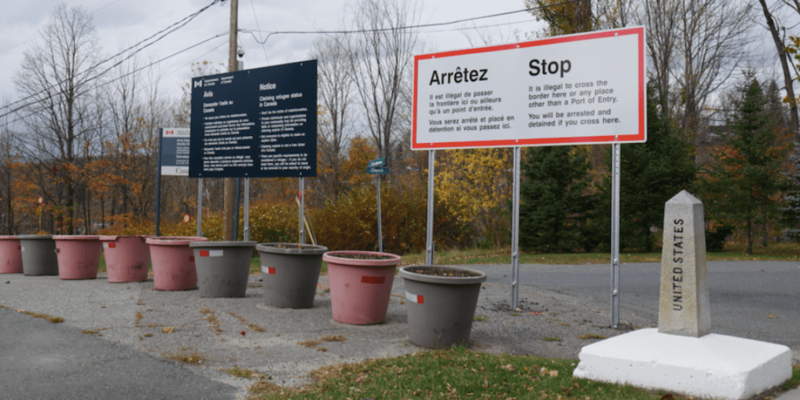 About a half hour later, the Royal Canadian Mounted Police observed two people with large backpacks enter the United States illegally just east of the town of Derby and notified the Swanton Sector. While agents were attempting to locate the two that had entered illegally, they saw the two men driving the Nissan Sentra in the area also. The men allegedly drove the car slowly, flashing its lights, and turning around often. Agents say the car remained in the area for about 20 minutes before they followed the Sentra back to the Border Motel. The agents say they saw the two men exit their room with luggage, get in the Sentra, and head towards I-91. After noticing the Sentra now contained four people, agents performed a traffic stop. Besides the two men, the Sentra contained a man and woman sitting in the rear seat. During an immigration interview, the man claimed to be a citizen of Mexico, but the woman refused to state her citizenship. Agents arrested the driver and front passenger for alien smuggling, a felony, and the two rear passengers for illegal entry, a misdemeanor. Border Patrol agents brought the four to the Newport station for additional record checks and further processing. Those checks revealed that the Mexican man, age 36, had been previously removed from the United States in 2014, after an arrest in Buffalo, New York in 2008. The checks also revealed that the woman, age 39, was also a citizen of Mexico. At the station, both Mexican citizens confessed to entering the United States illegally. Authorities say both will be returned to Mexico. The Swanton Border Patrol Sector is seizing the 2012 Nisan Sentra, and the two U.S. citizens from North Carolina were released. 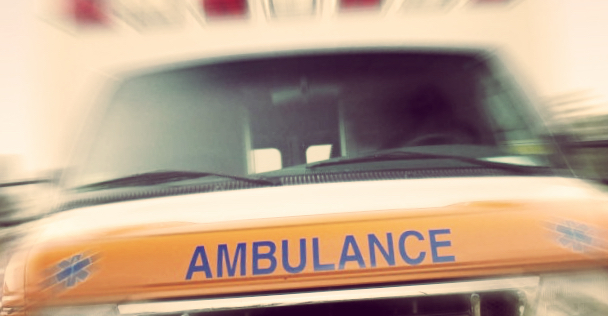 DERBY — A minor accident involving a school bus took place in Derby on Thursday. At around 4:15 p.m. police were notified of a two-vehicle crash at the intersection of VT Routes 111 and 105. Police say Rachel Carter, 57, of West Charleston, was driving an empty school bus and had come to a complete stop at the stop sign on Route 111. The bus was struck from behind by a 2008 Mitsubishi Eclipse, being operated by Rosanna Robinson, 24, of Derby. According to the report, Derby Line EMT responded to check on Robinson. Neither driver was hurt during the crash. NEWPORT — Police say an abandoned vehicle found crashed on Route 5 this morning was stolen. At around 6:45 a.m. police were notified of a stolen car that was taken from a driveway on Vermont Route 102 in Bloomfield. Police say the owner last saw the vehicle in the driveway at around 10:00 p.m. on Saturday. The owner discovered it missing just prior to calling the police. The vehicle, a charcoal gray 2012 Ford Escape, was bearing a New Hampshire plate. Police say the stolen vehicle was found abandoned, after being involved in a crash on the Derby/Newport Town line on US Route 5. Newport police investigated the crash. Anyone with information regarding the theft or the crash is being asked to contact VSP Derby Barracks, Corporal Amy LeClair at 802-334-8881. 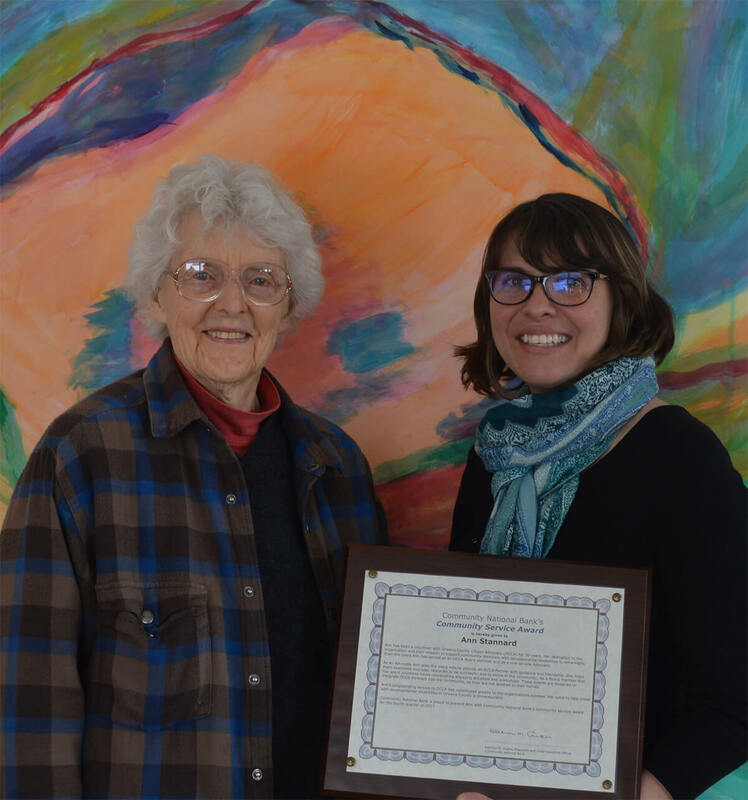 DERBY — Derby Green is one of only three Vermont nursing homes to receive the VT Health Care Association Quality Award this year. On top of that accolade, it is the only facility to have received this prestigious award 12 times. 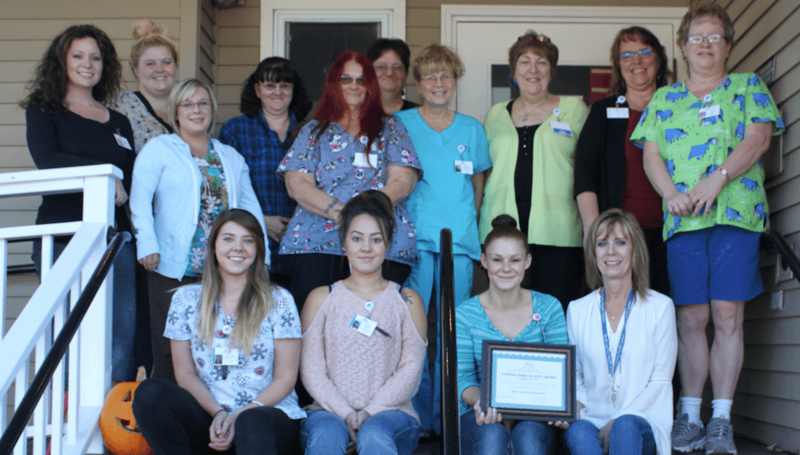 “It is an absolute honor to have represented not only the nursing home, but the amazing staff who made all of these honorary awards possible,” said previous administrator, Lisa Bohlman, who received the top honor on behalf of Derby Green. 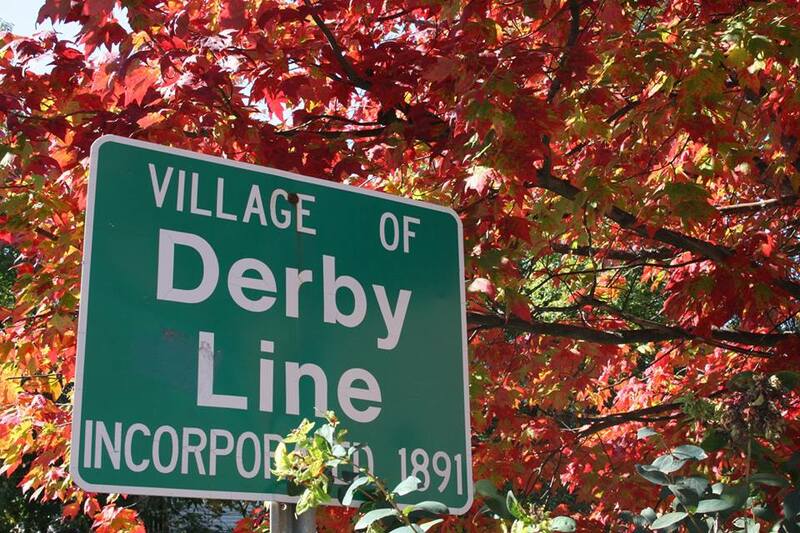 Derby Green first won the award in 1999, 2000, 2002, 2007 – 2013, 2016, and then again this year. A monetary award is attached to this honor, and Derby Green received $17,491.90 to continue serving its residents with the highest quality care and compassion. 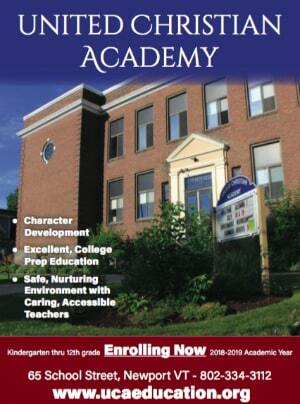 “The criteria for earning this is very rigorous and it takes the dedication and commitment of every staff member in each department,” Bohlman added. 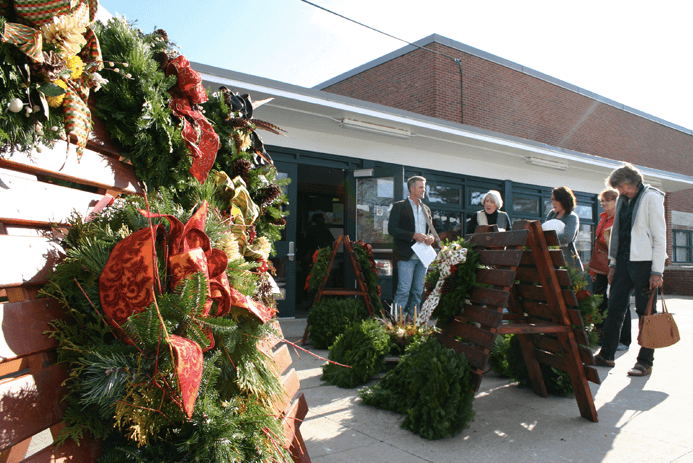 DERBY — The Dailey Memorial Library is gearing up for its annual Christmas craft fair and Christmas café luncheon. 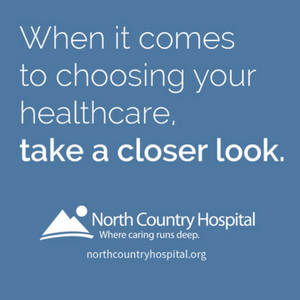 The event will take place this Saturday, November 11, at North Country Union Junior High School in Derby. The fair will run from 10 a.m. until 3 p.m. Lunch will be served between 11 a.m. and 2 p.m.
Over 40 talented crafters from throughout the area will be set up throughout the day. There will also be several raffles, including a turkey basket door prize raffle, instant raffle, rug raffle, and crafter’s raffle. The Christmas luncheon will feature soups, sandwiches, pastries, and beverages. Get in the holiday spirit by shopping with seasonal music, the smells of evergreen, and delicious comfort food. 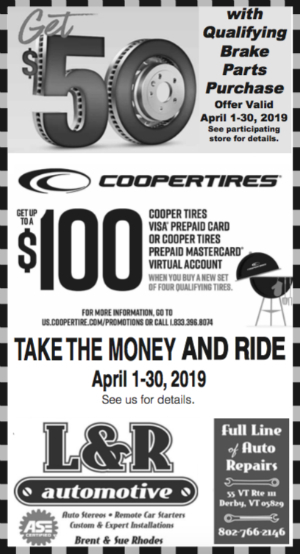 Call the library at 766-5063 for further information or questions. NEWPORT — Steve Mengel of Derby has joined the Northeast Kingdom Learning Services (NEKLS) Board of Directors. Mengel brings with him a long and rich experience with accounting, specifically, experience with accounting for schools. He worked for the Caledonia North Supervisory Union as their accountant and eventually retired from CNSU. Mengel’s idea of retirement is taking on more civic service as well as growing his private accounting business in Newport. 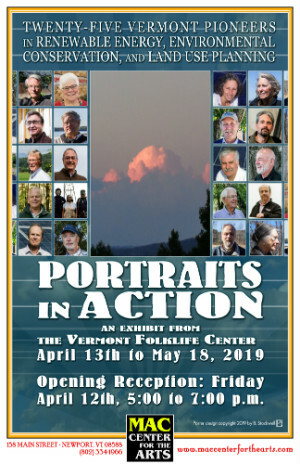 He is involved with Orleans County Citizen’s Advocacy, Trustee for Derby Center Village, serves on the Board of Directors for the United Christian Academy, teaches Adult Sunday School at the Derby Community Church, and is on the Board of Directors for the Life Center of the NEK. 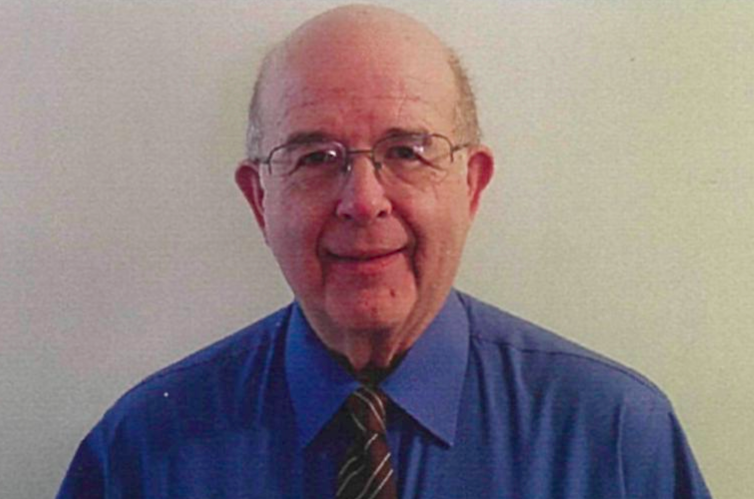 He is also an alternate for the Town of Derby Zoning Board and is Assistant Treasurer for the town of Coventry. One might wonder how Mengel had time to join another board or why he would. Mengel says it all started after chatting with a present NEKLS Board Member, Laura St. Onge. In January of 2017, Mengel attended an NEKLS board meeting. By late spring, he joined and says he is happy to stay on. When Mengel isn’t knee-deep in civic volunteerism, he enjoys continuing his 60 years of being an avid baseball fan, spending time hiking in the outdoors when he can, and caring for three rescue animals, a dog named Benji who spends days with him at the office, and two cats, Buttons and Sophie. DERBY — A 20-year-old Derby man walked away from a rollover crash on Wednesday, but police say he is facing charges. 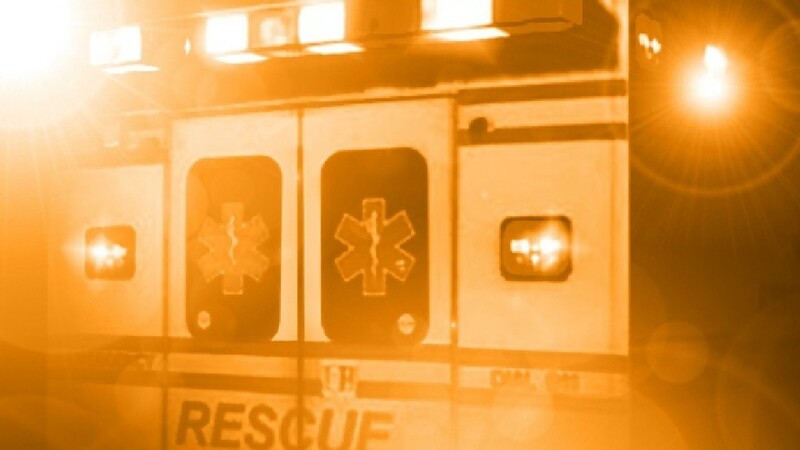 Police, EMS, Derby Line and Newport Fire responded to a report of a single-vehicle rollover on Access Road near the interstate on-ramps, at around 6:00 p.m. The driver was identified as Jacob Pennington. Police say Pennington was out of the vehicle and denying injury. The vehicle, a gray Kia Soul, was on its roof in the westbound lane. 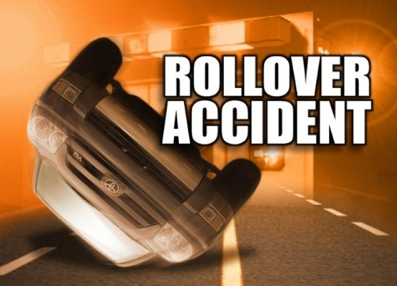 According to police, Pennington was traveling west when his vehicle left the roadway and rolled over. They say Pennington was found to have a suspended license. Police say civil violations were issued for operating under suspension, texting while driving, driver possessing open container, as well as a diversion notice for possessing alcohol under 21. DERBY — State police issued a warning today that they are looking for a Derby man they say is armed and dangerous. 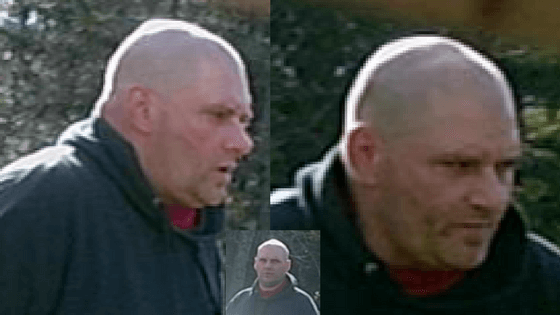 In a statement issued by police, they are requesting assistance in apprehending Daniel Greenwood, 41, of Derby. Police say Greenwood is known to frequently wear a bandana to cover his head. He is currently wanted by Probation and Parole in Orleans County for escape. His prior cases involve possession of cocaine, violation of conditions of release, sale of narcotics, accessory before the fact, and possession of regulated drugs. 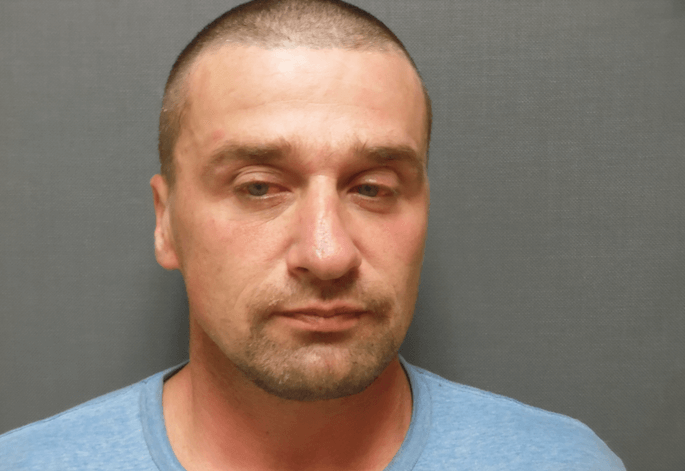 He is also wanted in connection to a case from Orleans County involving burglary, resisting arrest, eluding a police officer, excessive speed, and gross negligent operation of a motor vehicle. Police warn the public not to approach him if he is located, and to immediately call 802-334-8881. DERBY — The American Red Cross is encouraging eligible donors to give blood to support cancer patients and others during Breast Cancer Awareness Month. Blood donation opportunities will be available at Lake Region Union High School on Friday, October 20, from 9 a.m. to 2 p.m. There will be another drive at the Elks Club at 3736 Route 5 in Derby on Tuesday, October 24, from 11:30 a.m. to 5:30 p.m. According to the American Cancer Society, nearly 1.7 million new cases of cancer are expected in the U.S. this year. Breast cancer is the most common cancer among women, with nearly 253,000 women expected to be diagnosed in 2017. 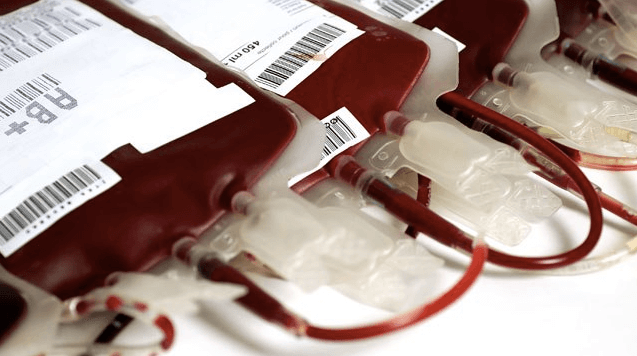 Cancer patients may need blood products during chemotherapy, surgery, or treatment for complications. DERBY — A 21-year-old man from Montreal fell asleep at the wheel this morning on I-91 in Derby, totaling his car and causing the engine to be thrown about 100 feet. The incident took place at around 8:00 a.m.
Police say William Owusu-Beateng was traveling at approximately 73 miles-per-hour in a 2005 Mazda, when he fell asleep and lost control of the vehicle. The Mazda left the travel portion of the roadway onto the grass median. Owusu-Beateng tried to gain control by steering toward the right, causing the vehicle to cross back over both travel lanes and into the ledge off the east side of the road. The vehicle eventually came to an uncontrolled rest facing southbound. The engine was thrown about 100 feet north from where the Mazda stopped. Police say Owusu-Beateng was transported to the hospital with an injured wrist. 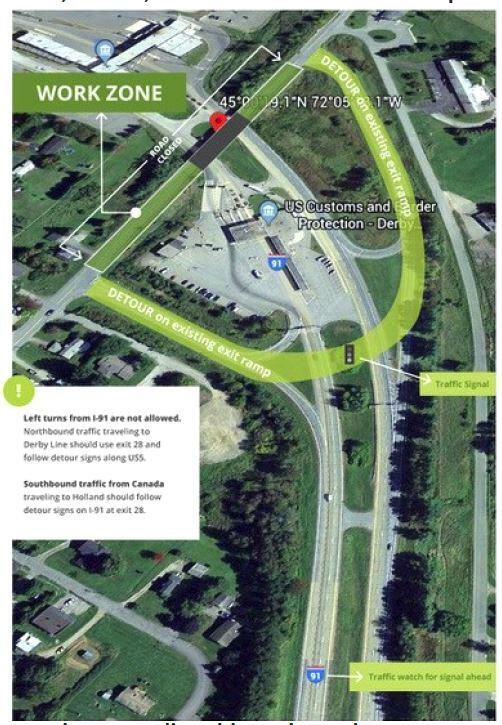 DERBY — The Vermont Agency of Transportation is warning drivers of possible delays on U.S. Route 5 in Derby this Saturday. 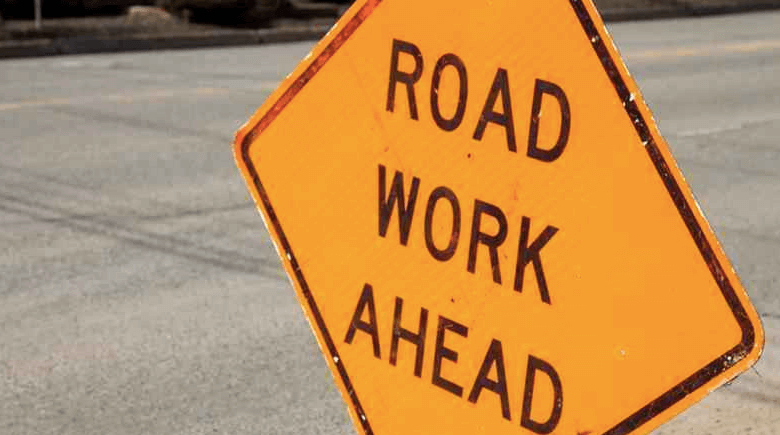 Crews will be paving from the Cow Palace to Walt’s Sales and Service. This is a high traffic zone and delays should be expected. Crews say they will try to return again next week to get the line stripping done. NEWPORT — A 43-year-old man from Newport is facing numerous charges after police say he attempted to run during a traffic stop. 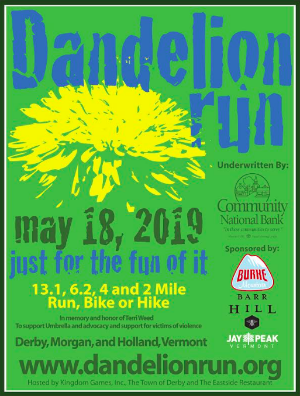 At around 12:30 a.m. on Saturday the Vermont State Police attempted to stop a vehicle for a traffic violation on US Route 5 in Derby. Police say the vehicle, operated by Jaime Prue, 43, of Newport, refused to yield and after a brief pursuit came to a stop on Community Avenue, where Prue fled on foot. Troopers apprehended and arrested Prue. 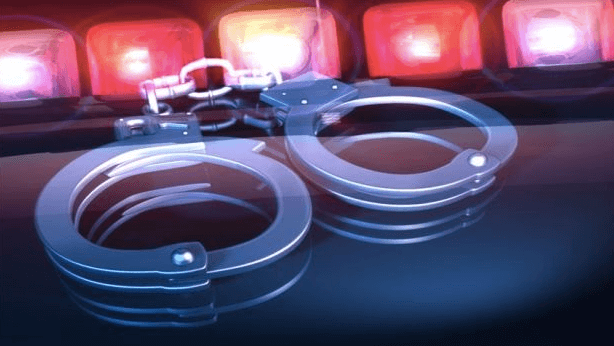 He is facing charges of driving under the influence, criminal DLS, attempting to elude, criminal refusal, and multiple violations of conditions of release. 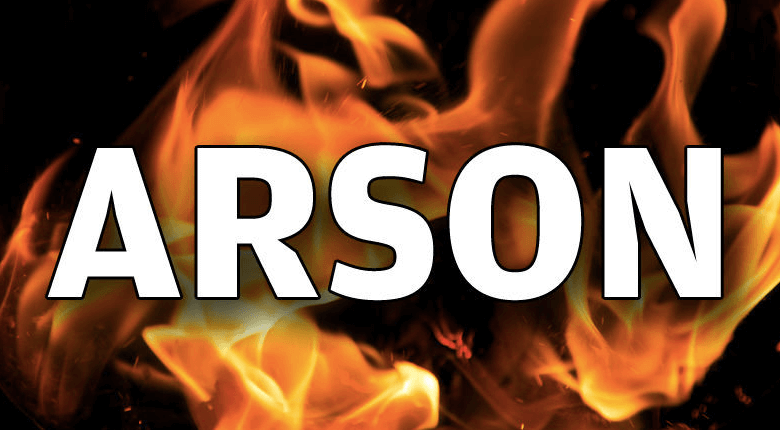 He was held for lack of $15,000 bail at Northern State Correctional Facility. NEWPORT — A crash this morning in Derby sent a 37-year-old man to the hospital with minor injuries. 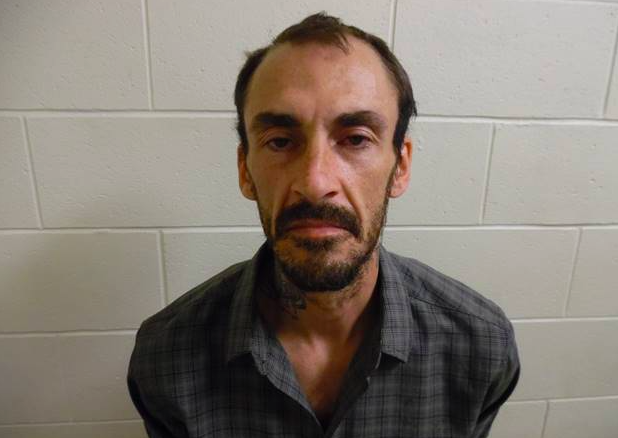 Police say at around 9:15 a.m. Clark Lombardi, of Derby, was headed east on Shattuck Hill Road, when Lee Spates, 53 of Newport, was traveling west. According to police, Spates turned left into the parking lot of Kinney Drugs and the front driver’s side of his truck struck the front driver’s side of Lombardi’s car. Both vehicles sustained contact damage. Police say Lombardi was treated and released at North Country hospital for minor injuries. Spates was not injured in the crash. 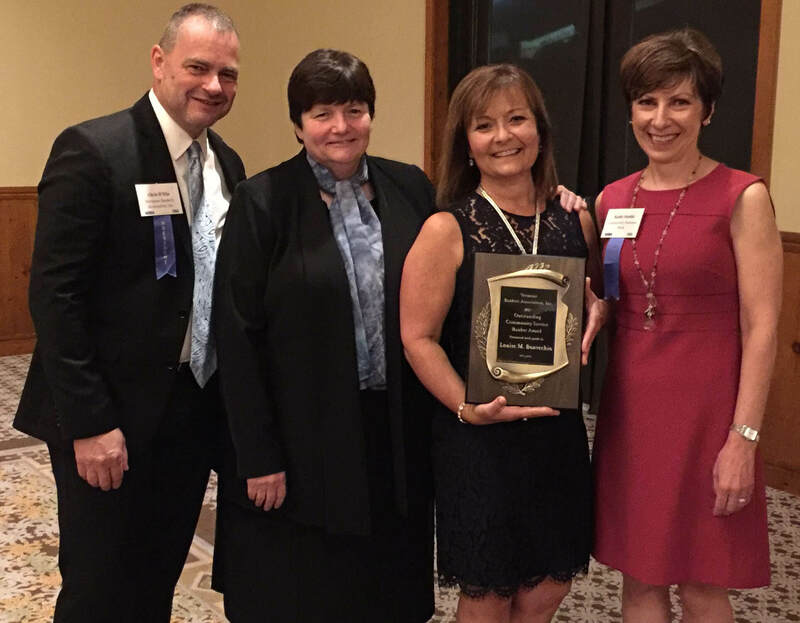 DERBY — This week Community National Bank President and CEO Kathy Austin announced that Senior Vice President and Chief Financial Officer Louise Bonvechio was presented with the Vermont Bankers Association’s Outstanding Community Service Banker Award at the Vermont and New Hampshire Bankers Annual Conference. Each year, the Outstanding Community Service Banker Award is given to a banker from each state who exemplifies the best in the banking profession and in service to their communities. Louise currently serves as a Trustee and Treasurer of the Goodrich Memorial Library, Board Chair of Rural Edge, a member of the Regional Advisory Board for the North Country Career Center, President of the Emory Hebard State Office Building Condo Association and a member of the Federal Home Loan Bank of Boston’s Member Advisory Panel. “Louise has worked tirelessly on a number of non-profit boards, providing leadership and expertise, and she truly does exemplify the best in a community banker,” Austin said. 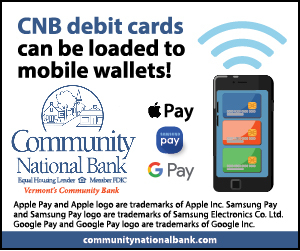 Bonvechio has been with Community National Bank for over 24 years. She makes her home in Newport with her husband Brian. DERBY — A 34-year-old man from Derby is facing a slew of charges after being picked up by police on Thursday. At around 12:45 p.m. police say they were notified that Russell Loiselle was present at 27 Boucher Circle, in Derby. He had an active warrant for his arrest. 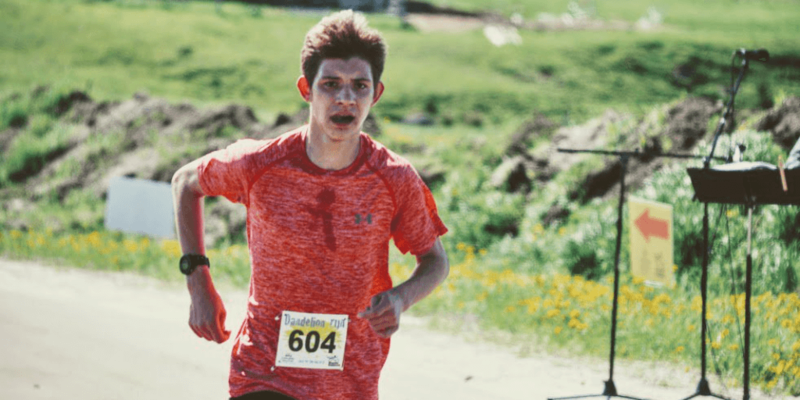 When they arrived, police say Loiselle attempted to run with aid of a bicycle and was subsequently apprehended. 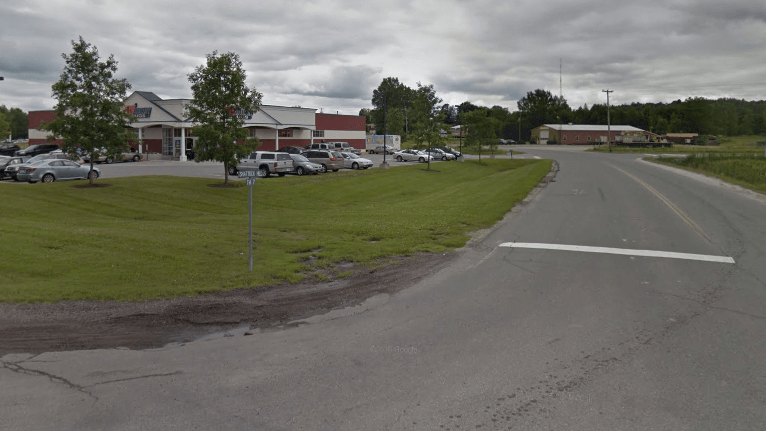 “During the course of the investigation, Loiselle attempted to kick one of the arresting troopers,” said Trooper Calvin Burns. 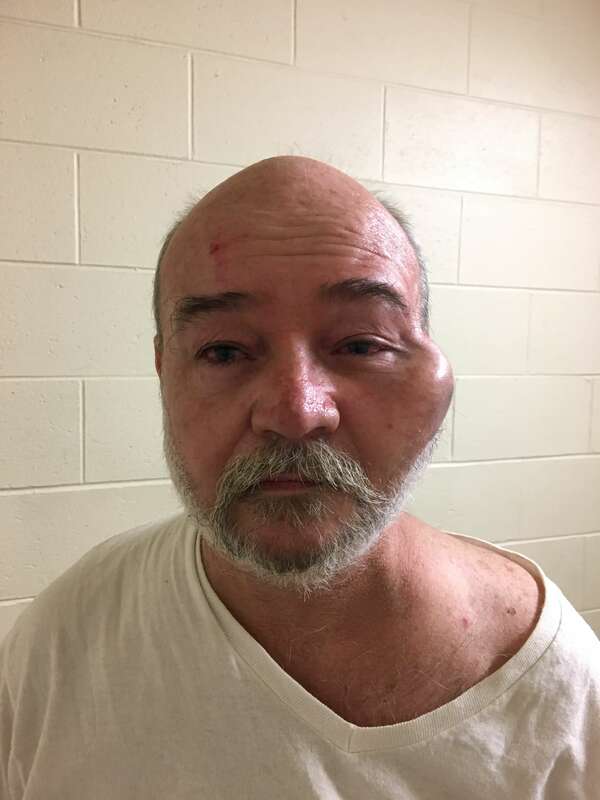 He was taken to Northern State Correctional Facility and cited to appear in Orleans County Court today to answer to the charges of violation of conditions of release, violation of relief from abuse order, assault on a law enforcement officer, and resisting arrest. NEWPORT — Homes in Newport Center and Derby were burglarized last week, and police say in both cases firearms were taken. 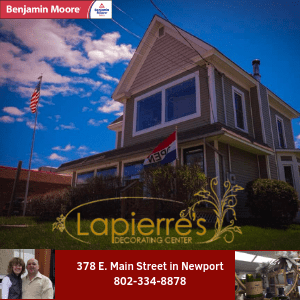 On Thursday, someone unlawfully entered a residence on Lawson Road in Newport Center between the hours of 6:45 a.m. and 5:45 p.m. Two firearms were taken from the residence. 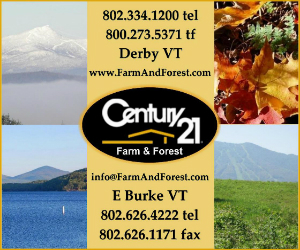 On Saturday, police were notified of a burglary on Nelson Hill Road in the town of Derby. Someone entered the garage at the residence and stole a Springfield Armory XD .40 caliber handgun. The handgun was taken along with its Blackhawk holster. Police say it does not appear that entry was made into the home in Derby. Anyone with information about the stolen firearms is being asked to call the Vermont State Police at 802-334-8881. NEWPORT — A large fight in Newport on Saturday left a 26-year-old man from Derby facing charges. Police say at approximately 1:23 a.m., they were dispatched to the area of Main Street in Newport City for a report of a fight. Upon arrival, police say they witnessed several individuals near the intersection of Central Street and Main Street, who appeared to be fighting and yelling at each other. Police conducted an initial investigation and say that Everett Wilson, 26, of Derby, allegedly stabbed a 21-year-old Barton man during the altercation. 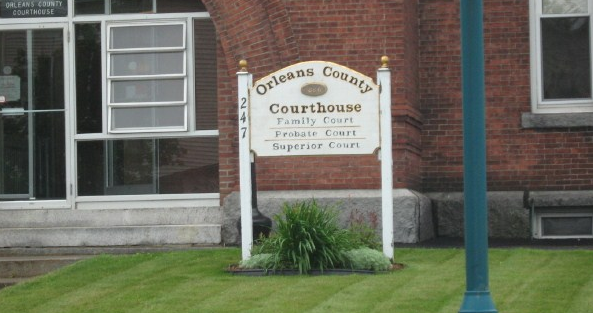 Wilson was taken into custody without incident and later released on personal recognizance pending his arraignment in Orleans District Court. He is being charged with aggravated assault and possession of a controlled substance.